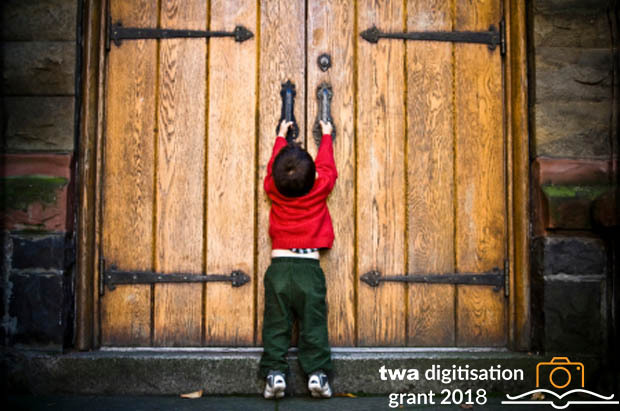 Yesterday was the final day for UK cultural heritage institutions to submit their applications for the TWA Digitisation Grant and applications for the 2018 Grant are now officially closed. Following the trend of previous years, we have received bids on behalf of some great digitisation and access projects, from a cross-section of archives, museums, libraries and other repositories. Applicants bidding for the funding awards of up to £5000 on offer have ranged from business and local authority archives, to national museums and university special collections libraries; with almost 70 applications in total. As always, the Grant applications will now be shortlisted and passed to our judging panel (composed of Archives and Records Association chief executive John Chambers, heritage consultant Claire Adler, and TownsWeb senior digitisation consultant Paul Sugden) to be scored. Last year over 400 of you tuned in to our Facebook Live broadcast to announce the 2017 winners (still available to watch here if you are looking to get a flavour of what it was like), so this year we will once again be announcing the winners via live Facebook video stream. We will be announcing the winners live on our Facebook page at 11.30am on Thursday 2nd August. If you already follow us on Facebook, you’ll receive a notification when we begin the live broadcast. If you don’t, to make sure you’re notified you can click over and like our Facebook page by clicking the link above. Or if you’re not on Facebook, we will be sharing the winners on the TWA blog after the live event. Missed out on applying for this year’s Grant? If you didn’t get the chance to put together an application for the TWA Digitisation Grant this year, don’t worry. We will be running the Grant again next year and you can make sure you’re among the first to know when it re-launches by signing up to our Grant email updates.